Times of Malta quotes the GRTU warning that fuel stations will stop operating unless an agreement is reached over an increase in their margin of profitability. It also reports that a young man who began sexually abusing his cousin when she was just seven years old and raped her when she was 10, had been jailed for 10 years. L-orizzont quotes a Learning Support Assistant saying he had to quit his job because he could no longer tolerate the abuse from students. It also focus on the internal strife taking place at the helm of the Nationalist Party. 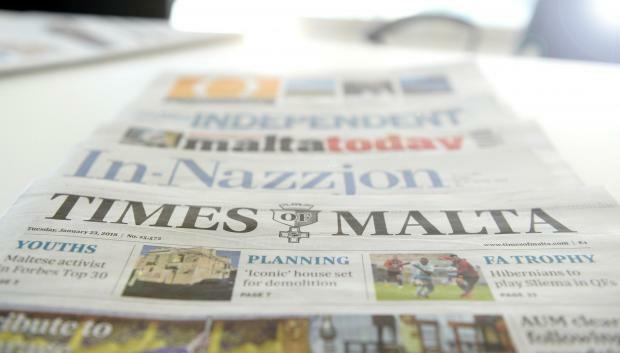 The Malta Independent reports that Marsaxlokk will be holding a poll to decide over the market closure times. It also reports that an EU agreement over car emissions by 2030 will only apply to new vehicles. In-Nazzjon reports about the sale of land worth €800 million in Pembroke for the price of €55 million to the Corinthia Group.